Total weight gain: 30lbs! And I still have 6 weeks to go! I gained 2.5lbs over the past 2 weeks putting me at 140. Now I feel pregnant. Every step is a workout for me and I can’t climb a set of stairs without feeling out of breath. Maternity clothes: In my last update, I mentioned that I’d probably need to buy more maternity clothes. That I did, and it feels good not having to pull down my shirt during the day or feeling like my belly is going to break through. 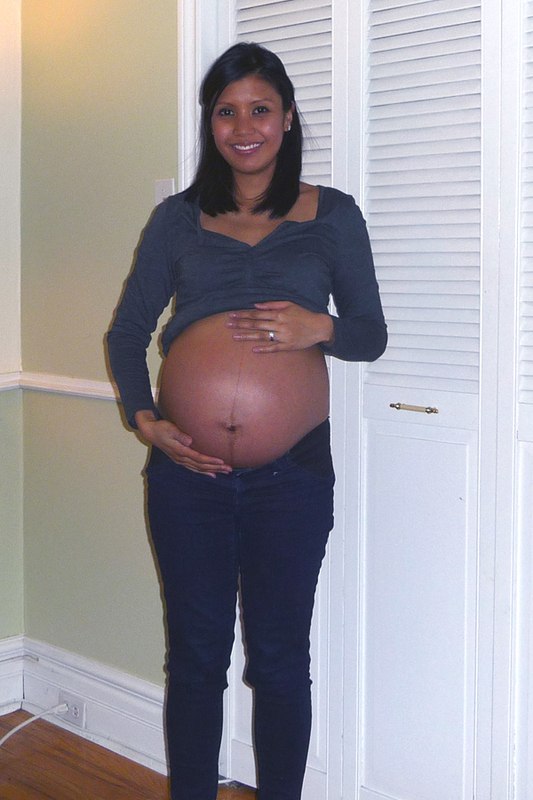 The top in this photo is from Old Navy and my jeans are Loved By Heidi Klum from Motherhood Maternity. Sleep: The usual. I still get up at least twice a night to empty my bladder. Lately though, I think the third trimester fatigue is hitting me. I could fall asleep anytime, anywhere. 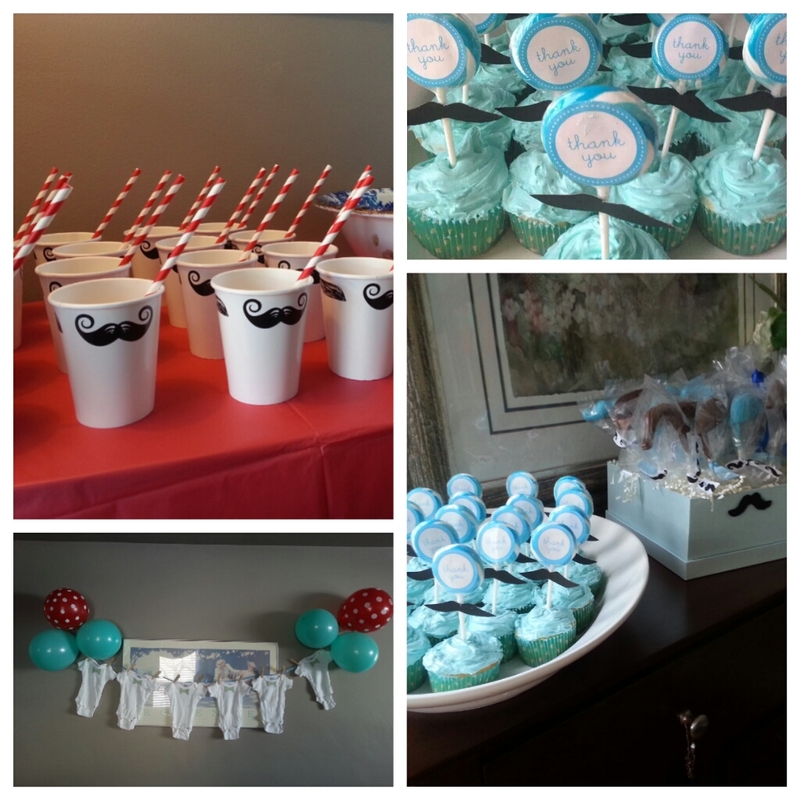 Highlight: My baby shower! My mother-in-law hosted it with the help of my sis and sis-in-law. We had some friends and family over to celebrate the arrival of “the little man”. This made it feel even more real and has got me more excited! Movement: Baby Jarvis moves a lot! And he’s strong. It’s really weird when you can see my belly moving in waves or see it lopsided because he has jabbed his knee up against me. Food cravings: My sugar craving has slowly been subsiding. Mood: Grouchy. I hate to admit this because I’ve been pretty good all along. Perhaps it’s my new physical discomfort getting to me, but poor hubby has witnessed some short tempers this week.